Although we did manage to enter the super finals with 4 other teams at NM i game play, we did not repeat last years success. Instead our friend Kristoffer won, which he truly deserved; congratulations! He has made a development blog for his game, and you can try a prototype he has put out. As for our game, it has too many bugs to put out at the moment, and since we have a lot to do, don’t count on something playable anytime soon. (If we get a lot of requests, we might speed up that process). We would also like to say that there were many other good contributions in the contest. It was fun, but we were a little too tired to enjoy the event to the fullest. 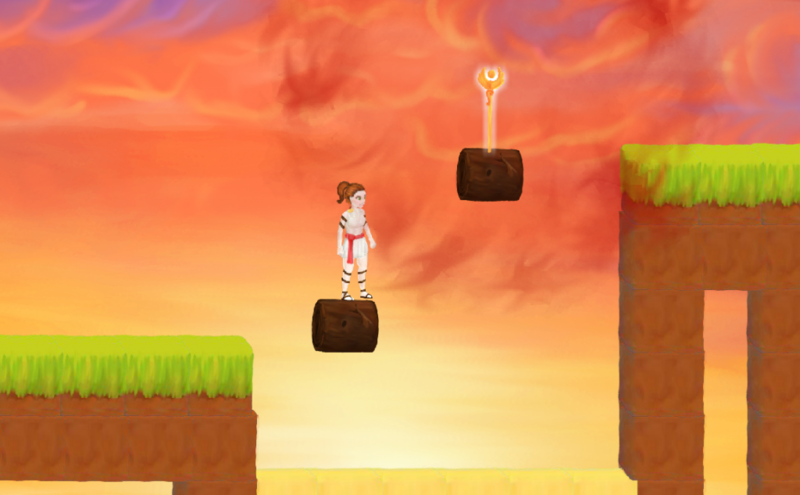 Here is a picture of our game showing two logs slowed down, making the main character able to use them as platforms. Oh, and join a Game Jam near you, it’ll be fun.